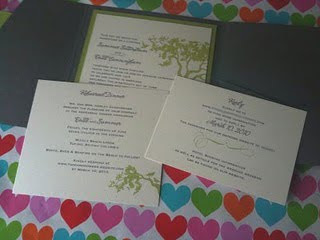 These turned out so gorgeous!! 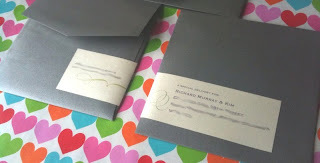 Do you think my husband will get jealous if I say that I am in love with these invitations? 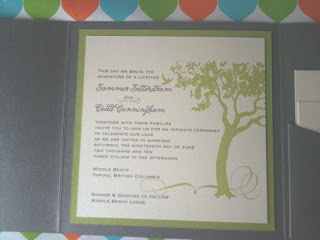 Our bride, Sommer, chose the most stunning color combination. 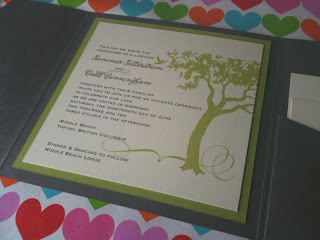 Shimmery ecru, backed by "wicked" green, mounted atop a sparkling gray pocketfold. I just cannot get over these & the pictures do not do them near the justice that they deserve!